In 1735 the French Académie des Sciences dispatched an expedition to Peru to measure the length of a degree of arc at the equator. At the same time, Maupertuis, a member of the Académie (and a teacher and probably lover, too, of Madame du Châtelet), proposed an expedition to the Arctic Circle to make measurements there to check and supplement those from Peru. Maupertuis was chosen to lead the expedition, accompanied by two astronomers from the Academy, a clock maker, a draftsman, a secretary, and a priest, plus the Swedish astronomer Anders Celsius. Maupertuis's group of scientists left for Lapland in April 1736. A very rough three weeks of sailing delivered them from Dunkirk to Stockholm. They had planned to sail on to Tornio (now in Finland; then a province of Sweden) at the northern end of the Gulf of Bothnia, but a near mutiny within his party persuaded Maupertuis to change plans and make a longer trip on solid ground. The intrepid scientists set out in two purchased coaches on June 6 and arrived in Tornio on June 21 (a bus now leaves Stockholm at 6 in the evening and arrives at Tornio at 8:45 the next morning). The expedition's servants, instruments, and provisions had gone by boat and were waiting in Tornio. Maupertuis had planned to lay out his degree of latitude for measuring over ice in the Gulf that winter, but the local people, while not sure that the Gulf would freeze over, were sure that south winds coming up without warning would open up any ice. Also, the islands in the Gulf were heavily wooded and not high enough to make measurements from. Fortunately, the Tornio River runs nearly north—south, and its valley has high peaks surrounding it, from which measurements could be made. The farthest of seven mountain peaks was 70 miles north of Tornio. quipped. Maupertuis, however, gained little glory confirming to his compatriots a discovery predicted fifty years earlier by an Englishman (Feingold, Newtonian Moment, 106). Years would pass before Voltaire's words and scientific measurements swept aside Descartes' natural philosophy, especially in France. Newtonianism's rival did not slink away quickly or quietly. According to Descartes, natural phenomena were to be explained in terms of the mobility of particles of matter governed by a few general principles brought to bear on both terrestrial and celestial phenomena. These included the conservation of rest and motion as states of matter, and the primacy of rectilinear (straight line) motion. All change in motion was the result of percussion of bodies; one object could act on another only by contact. Descartes banned from scientific investigation occult phenomena, or causes hidden from the senses. 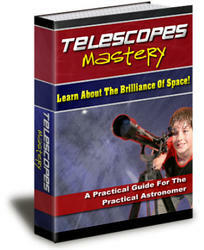 Gravity was the result of celestial matter circulating about the Earth pushing all terrestrial matter toward the Earth. Descartes' mechanical, mechanistic cosmology was highly acceptable within the general seventeenth-century conception of the world as a machine. His explanations, though, were only qualitative redescriptions of phenomena in mechanistic terms. midsummer. Nor was the bitter cold of winter much relief. Some of their thermometers froze, encouraging Celsius later to develop the mercury thermometer. (He is best known for establishing the thermometer scale named after him: zero for the freezing point of water and 100 for boiling—actually, zero for boiling and 100 for freezing, but the scale was reversed after his death). Maupertuis was too busy to reply to Madame du Chatelet's letters, though he did find time to form an attachment with a Laplander so binding that she and her sister would accompany him back to France. Its work finished, the expedition left Tornio in June 1737, this time by ship. They were shipwrecked in the Gulf but managed to save their precious records. They finally arrived back in Paris in September and made their report to the Academy in November. Madame du Chatelet called her hero Sir Isaac Maupertuis. Meanwhile, the expedition to the equator continued, with one member dead of fever, a second gone insane, and a third killed by a mob. In England it was reported that "An unlucky accident has happened to the french Mathematicians in Peru. It seems they were shewing some french gallantry to the natives wives, who have murdered their servants destroyed their Instruments & burnt their papers, the Gentlemen escaping narrowly themselves. What an ugly Article will this make in a journal" (Jones, Figure of the Earth, 113). The international War of the Austrian Succession and the little local War of the Pyramids in Quito further disrupted the expedition. Their measurements were not completed until 1743, and the leader of the expedition, deciding to cross the Andes Mountains and follow the Amazon River to the Atlantic, did not make it back to Paris until 1745, 10 years after he had departed. again be returned to the ancient darkness of Peripatism [Aristotelianism] from which heaven wants to save us" (Feingold, Newtonian Moment, 60). It was not easy to believe that the great masses of the planets were suspended in empty space and that they retained their orbits by an invisible influence. Even Newton admitted that the notion of one body acting on another at a distance without the mediation of anything else to convey the action was physically absurd. One of the great changes in scientific thought following from Newton's work would be the eventual abandonment of any necessity for a material aether pervading space to transmit gravitational forces, or light, or anything else. Not until 1887 would the famous Michelson-Morley experiment rule out any lumi-niferous light-bearing medium in the universe. Newton, though bemoaning the lack of a material explanation for gravity, at the same time attacked Descartes' cosmic aether. Newton argued that its resistance would soon halt the planets' motions. Furthermore, Newton purported to show that the relation between tangential velocity and distance from the center in a vortex differed from Kepler's third law. Neither Descartes nor his early followers had made any attempt to account for Kepler's observational results. Descartes may not have known of them, and his followers followed him uncritically. In fairness, it should be noted that no one prior to Newton regarded Kepler's laws as facts requiring explanation by physical theory. The scientific struggle to bring vortex theory into agreement with observation began with Gottfried Leibniz, a German mathematician and philosopher, and a rival of Newton in the invention of the calculus, each accusing the other of plagiarism. Leibniz recognized Kepler's laws but also believed that some kind of fluid vortex was essential. A basic problem for Cartesians was that vortices rotated in circular layers, but the planets moved in elliptical orbits with varying distances from the central body. A vortex somehow had to maintain a planet's motion in a circular arc and also move the planet radially, toward and away from its central sun. Leibniz argued that gravitational attraction was the result of a very tenuous matter, a second vortex, revolving in all directions around the Earth. This second vortex was independent of the vortex consisting of a coarser aether that carried the Earth around the Sun. Leibniz largely ignored the objection that comets, often inclined at large angles to the plane of circulation of the vortex and hence presumably largely beyond the control of the vortex, nevertheless obey Kepler's laws. Through the first half of the eighteenth century, philosophers faced a choice between Descartes' vortices, agreeable to the intellect but overwhelmed by technical difficulties, and Newton's force of gravity, without physical explanation but increasingly in agreement with observed planetary motions. Real bodies, it was generally agreed, were composed of particles separated by celestial matter. For Newton, the medium conveying action had to be immaterial, offering no resistance to bodies but moving them. Early in the eighteenth century, Saurin argued that if the particles of celestial matter were small enough to pass freely between the particles of dense bodies, the force of impact of the aether would be greatly reduced on dense bodies. Defenders of Descartes' vortex theory, however, generally insisted on a dense fluid. There was considerable interest in extending vortex theory mathematically to reproduce in quantitative detail observed planetary motions. The Swiss mathematician Johann Bernoulli even won a prize from the Académie des Sciences in 1730 for his essay on the causes of elliptical orbits in a Cartesian vortex. Bernoulli hesitated to condemn Descartes' system, based on the clear and intelligible principle of celestial vortices, and substitute for it Newton's principle of gravity, for which no idea could be formed. Instead, Bernoulli attempted to assimilate Newtonian attraction and void with Descartes' vortices to yield a plausible physical explanation. A difference in density of the layers of the vortex would allow a planet to oscillate radially about an equilibrium position in which the densities of the layer and the planet were the same. The planet was still carried around the Sun by the circulation of the vortex, but the net composite motion could be an elliptical orbit; and Bernoulli claimed to have shown that the effects of vortices were compatible with Kepler's laws. In fact, he only outlined a solution; he failed to carry out the necessary mathematical demonstration. This task he excused himself from on the grounds that it would be too long and laborious. Indeed, a solution to the problem of vortex motion was beyond the best mathematical talent of the age. A mere suggestion of the cause of elliptical orbits may have sufficed for the purpose of Bernoulli's 1730 essay, but the Cartesian program, producing qualitative but not quantitative explanation, was increasingly found insufficient. In 1740 Maupertuis, then the foremost French proponent of Newton, publicly declared his allegiance to Newtonian cosmology because of the failure of Cartesians to reconcile vortex theory with Kepler's mathematical laws of planetary motion. Throughout the eighteenth century, Newtonians piled quantitative success upon quantitative success, though not in the form Newton himself had used. Geometry, long the accepted medium of mathematical proof, was so used by Newton, but those who came after him proved alternative mathematical procedures more productive. This change may explain at least partially why Newton's loyal followers in England made little progress compared to scientists on the continent less tightly tied to geometrical proofs and more ready to take up algebraic methods (developed by Descartes). The solar system contains many planets, and the calculation of any one planetary orbit is not simply a matter of the gravitational attraction between that planet and the Sun. There are smaller but not negligible perturbational effects from the attraction of other bodies on any particular planet. For example, Jupiter and Saturn modify the motions of each other about the Sun. Also, the Sun alters the Moon's motion around Earth. Académie des Sciences' prize topic for 1748 called for an explanation of the inequalities of motion that Jupiter and Saturn appeared to cause in each other's motions, their observed motions having been found inexplicable solely on the basis of Kepler's laws and an inverse-square force of gravity. Euler extended his analysis of the interaction of Jupiter and Saturn in another prize essay, in 1752. Joseph Lagrange and PierreSimon Laplace, both members of the Académie des Sciences, achieved further mathematical triumphs. Saturn and an acceleration of the Moon's orbital speed around the Earth. Laplace next took up the question of the origin of the solar system. Reflecting the new atheistic approach to nature of some of the scientists of the French Enlightenment, Laplace attempted to replace the hypothesis of God's rule with a purely physical theory that could also explain the observed order of the universe, particularly the remarkable arrangement of the solar system. He was successful, at least in his own mind. According to legend, when Napoleon asked Laplace whether he had left any place for the Creator, Laplace replied that he had no need of such a hypothesis. Laplace's nebular hypothesis appeared in six versions between 1796 and 1835, the last after his death in 1827. The theory postulated that the Sun had once been a hot fluid extending beyond the present orbits of the planets. As the fluid cooled and condensed, gradually shrinking to the present size of the Sun, zones of material were left rotating around the Sun. These rings of gas shed by the contracting Sun condensed to form the planets. 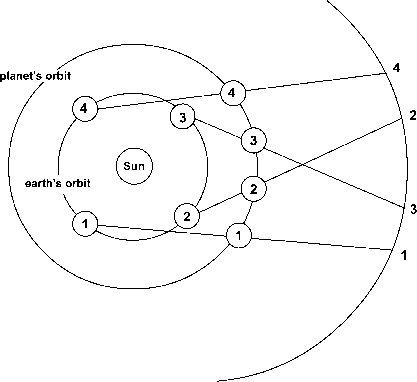 Similar processes centered on the planets produced their satellites. Laplace's nebular hypothesis survived until the beginning of the twentieth century. Then the American geologist Thomas Chrowder Chamberlin argued persuasively against a molten Earth condensing from a gaseous mass on the grounds that: (1) all water vapor would have evaporated and been lost into space; and (2) that the observed distribution of mass and momentum, with most of the mass near the center of the solar system but most of the momentum in the outer planets, was an unlikely occurrence within Laplace's nebular hypothesis. It could, however, be accounted for if the solar system had been formed in a collision between a small nebula with large momentum and the periphery of a large nebula with very little momentum.